NASA has selected a new mission, set to launch in 2016, that will take the first look into the deep interior of Mars to see why the Red Planet evolved so differently from Earth as one of our solar system's rocky planets. The new mission, named InSight, will place instruments on the Martian surface to investigate whether the core of Mars is solid or liquid like Earth's, and why Mars' crust is not divided into tectonic plates that drift like Earth's. Detailed knowledge of the interior of Mars in comparison to Earth will help scientists understand better how terrestrial planets form and evolve. "The exploration of Mars is a top priority for NASA, and the selection of InSight ensures we will continue to unlock the mysteries of the Red Planet and lay the groundwork for a future human mission there," NASA Administrator Charles Bolden said. "The recent successful landing of the Curiosity rover has galvanized public interest in space exploration and today's announcement makes clear there are more exciting Mars missions to come." InSight will be led by W. Bruce Banerdt at NASA's Jet Propulsion Laboratory in Pasadena, Calif. InSight's science team includes U.S. and international co-investigators from universities, industry and government agencies. The French space agency Centre National d'Etudes Spatiales, or CNES, and the German Aerospace Center are contributing instruments to InSight, which is scheduled to land on Mars in September 2016 to begin its two-year scientific mission. InSight is the 12th selection in NASA's series of Discovery-class missions. Created in 1992, the Discovery Program sponsors frequent, cost-capped solar system exploration missions with highly focused scientific goals. NASA requested Discovery mission proposals in June 2010 and received 28. InSight was one of three proposed missions selected in May 2011 for funding to conduct preliminary design studies and analyses. The other two proposals were for missions to a comet and Saturn's moon Titan. InSight will carry four instruments. JPL will provide an onboard geodetic instrument to determine the planet's rotation axis and a robotic arm and two cameras used to deploy and monitor instruments on the Martian surface. CNES is leading an international consortium that is building an instrument to measure seismic waves traveling through the planet's interior. The German Aerospace Center is building a subsurface heat probe to measure the flow of heat from the interior. 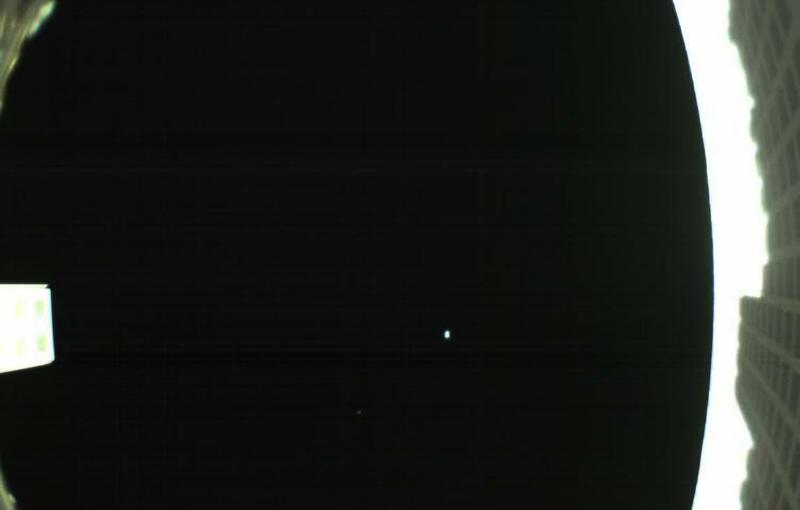 For more information about InSight, visit: http://insight.jpl.nasa.gov. For more information about the Discovery Program, visit: http://discovery.nasa.gov. "We are certainly excited, but our veterans on this team know the drill," said Tom Hoffman, project manager for InSight from NASA's Jet Propulsion Laboratory in Pasadena, Calif. "Which is fortunate, because one of the great things we'll get to do on Mars is drill below the surface." Drilling underneath the red Martian topsoil will be courtesy of InSight's HP3, or Heat Flow and Physical Properties Package - one of the four instruments the Mars lander will carry. Made by the German Aerospace Center, or DLR, HP3 will get below Mars' skin by literally pounding it into submission with a 14-inch (35-centimeter), hollowed-out, electromechanically-festooned stake called the Tractor Mole. "The Tractor Mole has an internal hammer that rises and falls, moving the stake down in the soil and dragging a tether along behind it," said Sue Smrekar, deputy project scientist for InSight from JPL. "We're essentially doing the same thing any Boy or Girl Scout would do on a campout, but we're putting our stake down on Mars." The German-built mole will descend up to 16 feet (five meters) below the surface, where its temperature sensors will record how much heat is coming from Mars' interior, which reveals the planet's thermal history. "Getting well below the surface gets us away from the sun's influence and allows us to measure heat coming from the interior," said Smrekar. "InSight is going take heartbeat and vital signs of the Red Planet for an entire Martian year, two Earth years. We are really going to have an opportunity to understand the processes that control the early planetary formation." InSight stands for Interior Exploration using Seismic Investigations, Geodesy and Heat Transport. The mission is led by W. Bruce Banerdt of JPL. InSight's science team includes U.S. and international co-investigators from universities, industry and government agencies. Along with DLR, the French space agency Centre National d'Etudes Spatiales, or CNES, is also contributing an instrument to the two-year scientific mission. InSight builds on spacecraft technology used in NASA's highly successful Phoenix lander mission, which was launched to the Red Planet in 2007 and determined that water ice exists near the surface in the Martian polar regions. Along with providing an onboard geodetic instrument to determine the planet's rotation axis, plus a robotic arm and two cameras used to deploy and monitor instruments on the Martian surface, JPL performs project management for NASA's Science Mission Directorate. NASA's Marshall Space Flight Center in Huntsville, Ala., manages the Discovery Program for the agency's Science Mission Directorate in Washington. Lockheed Martin Space Systems in Denver will build the spacecraft. JPL is a division of the California Institute of Technology in Pasadena. Very interesting! Can't wait 2016 to come quickly enough! InSight (Interior Exploration using Seismic Investigations, Geodesy and Heat Transport) is a proposed NASA Discovery Program mission that will place a single geophysical lander on Mars to study its deep interior. But InSight is more than a Mars mission - it is a terrestrial planet explorer that will address one of the most fundamental issues of planetary and solar system science - understanding the processes that shaped the rocky planets of the inner solar system (including Earth) more than four billion years ago. InSight seeks to answer one of science's most fundamental questions: How did the terrestrial planets form? One of three proposed missions competing for funding within NASA's Discovery Program, InSight is slated for a March 2016 launch date and set to arrive on the surface of Mars in late 2016. It will rely on proven technologies used on NASA's Mars Phoenix mission, and will send a lander to the Martian surface that will spend two years investigating the deep interior of Mars - as well as the processes that not only shaped the Red Planet, but also rocky planets throughout the inner solar system. InSight's primary objective is to uncover how a rocky body forms and evolves to become a planet. Generally, a rocky body begins its formation through a process called accretion. As the body increases in size, its interior heats up and melts. As it subsequently cools and recrystallizes it evolves into what we know today as a terrestrial planet, containing a core, mantle and crust. While all of the terrestrial planets share similar structures and their bulk compositions are roughly the same as the meteoritic material from which they were formed, they are by no means uniform. Each of the terrestrial planets reached their current formation and structure through a process known as differentiation, which is poorly understood. InSight's goal is to solve the mystery of differentiation in planetary formation - and to bridge the gap of understanding that lies between accretion, and the final formation of a terrestrial planet's core, mantle, and crust. The mission's secondary objective is to conduct an in-depth study of tectonic activity and meteorite impacts on Mars, both of which could provide valuable knowledge about such processes on Earth. To achieve each of these objectives, InSight will conduct six investigations on and below the surface of Mars to uncover the evolutionary history that shaped all of the rocky planets in the inner solar system. SEIS: Seismic Experiment for Interior Structure - To capture Mars' pulse, or its internal activity, InSight will carry a seismometer called SEIS to the surface of the Red Planet. SEIS will take precise measurements of quakes and other internal activity on Mars to better understand the planet's history and structure. HP3: Heat Flow and Physical Properties Package - To take Mars' temperature, a key indicator of planetary evolution, InSight will deploy a heat flow probe on the surface of Mars. The instrument, known as HP3, will hammer five meters into the Martian subsurface, deeper than all previous arms, scoops, drills and probes, to learn how much heat is coming from Mars' interior and reveal the planet's thermal history. RISE: Rotation and Interior Structure Experiment - To track Mars' reflexes, or the way it wobbles when it is pulled by the sun, an investigation called RISE will precisely measure the Doppler shift and ranging of radio communications sent between the InSight lander and Earth. By tracking wobble, scientists can determine the distribution of the Red Planet's internal structures and better understand how the planet is built. On Monday we learned that Nasa would fund the InSight mission, which will investigate the interior of the red planet using seismometers and other instruments. The agency chose InSight over a voyage on the methane seas of Saturn's moon Titan; or a hop, skip and jump across the surface of a comet. The decision drew criticism that the agency is becoming fixated on Mars. Carolyn Porco, who works on Nasa's ageing Saturn mission Cassini, stated that there is "too much emphasis on Mars in our current plans for planetary exploration". It is not that InSight will return bad science, and I'm thrilled for the teams building its instruments, but it will launch in 2016, three years after the Mars MAVEN mission and just a few years before another promised Mars mission that Nasa is expected to announce soon. A look at the current Nasa manifest shows a distinct preference for missions to the inner solar system, especially to the moon, Mars and asteroids. Of the six spacecraft launched since New Horizons set off for Pluto in January 2006, only the Jupiter mission Juno is going to the outer solar system. With the selection of InSight, the next four missions will similarly head for nearby targets. As it stands, Nasa has no further plans to explore the outer solar system once New Horizons and Juno are complete. Announcing InSight, John Grunsfeld, Nasa's associate administrator for Science, said it showed the best chance of keeping within budget and on schedule, which is similar to the logic used to fund the Mars MAVEN mission. While admirable in one respect, this raises the question of whether Nasa now see Mars as an "easy option". In the accompanying press release, Nasa's administrator Charles Bolden stated that the selection "ensures we will continue to unlock the mysteries of the red planet and lay the groundwork for a future human mission there". This logic is difficult to follow. The question of whether Mars is geologically active is crucial for planetary scientists piecing together the history of the planet, yet it is hard to see how it will greatly benefit a human mission. If dangerously large marsquakes were common, we would have seen the results in the decades' worth of images that have been taken from orbit. The comment also jars because there is no money on the table for landing humans on Mars. With the success of Curiosity, Mars is now well served and this selection was a chance to visit somewhere else. Comet Hopper would have put a lander on comet Wirtanen. It is similar, though much smaller in scope, to Esa's Rosetta lander, which will arrive at its target comet in 2014. The Titan Mare Explorer (TiME), however, was unique. 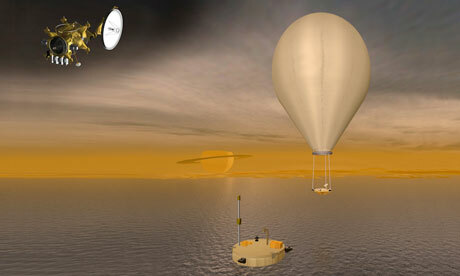 It was designed to follow up Esa's Huygens lander, which touched down on Titan in January 2005. Saturn's largest moon, Titan, is revealing itself to be arguably the most Earth-like world in the solar system. It has a thick atmosphere and weather similar to ours, although instead of water, its sea, lakes and rain are composed of liquid methane. TiME would have floated in the Titan sea, showing us this truly alien place. As it stands, Huygens could become the robotic equivalent of the Apollo moon missions: a great start that was simply abandoned. If this were to happen, it would be a tragedy. All may not be lost. The Kepler space telescope was proposed five times before being accepted and funded by Nasa. After each rejection the team worked harder to prove their concept until Nasa could ignore them no longer. Now, the telescope is in space and capturing headlines by discovering thousands of planets around other stars. Let us hope the team behind TiME can battle on, and that we may yet sail on Titan. 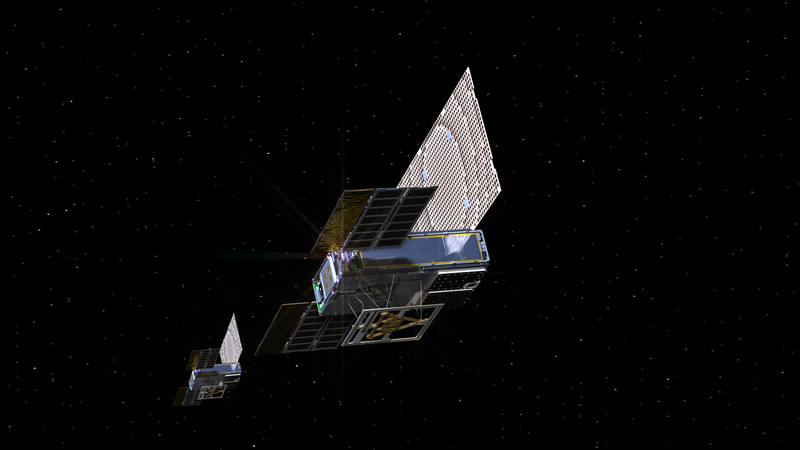 The twin communications-relay CubeSats, being built by NASA's Jet Propulsion Laboratory (JPL), Pasadena, California, constitute a technology demonstration called Mars Cube One (MarCO). CubeSats are a class of spacecraft based on a standardized small size and modular use of off-the-shelf technologies. Many have been made by university students, and dozens have been launched into Earth orbit using extra payload mass available on launches of larger spacecraft. The basic CubeSat unit is a box roughly 4 inches (10 centimeters) square. Larger CubeSats are multiples of that unit. MarCO's design is a six-unit CubeSat – about the size of a briefcase -- with a stowed size of about 14.4 inches (36.6 centimeters) by 9.5 inches (24.3 centimeters) by 4.6 inches (11.8 centimeters). Moonlady wrote: Very interesting! Can't wait 2016 to come quickly enough! Yes, we should be sent some very interesting data. NASA is moving forward with a spring 2018 launch of its InSight mission to study the deep interior of Mars, following final approval this week by the agency's Science Mission Directorate. Many of NASA's most iconic spacecraft towered over the engineers who built them: think Voyagers 1 and 2, Cassini or Galileo -- all large machines that could measure up to a school bus. But in the past two decades, mini-satellites called CubeSats have made space accessible to a new generation. These briefcase-sized boxes are more focused in their abilities and have a fraction of the mass -- and cost -- of some past titans of space. In May, engineers will be watching closely as NASA launches its first pair of CubeSats designed for deep space. The twin spacecraft are called Mars Cube One, or MarCO, and were built at NASA's Jet Propulsion Laboratory in Pasadena, California. Both MarCO spacecraft will be hitching a ride on the same rocket launching InSight, NASA's next robotic lander headed for Mars. The MarCOs are intended to follow InSight on its cruise through space; if they survive the journey, each is equipped with a folding high-gain antenna to relay data about InSight as it enters the Martian atmosphere and lands. 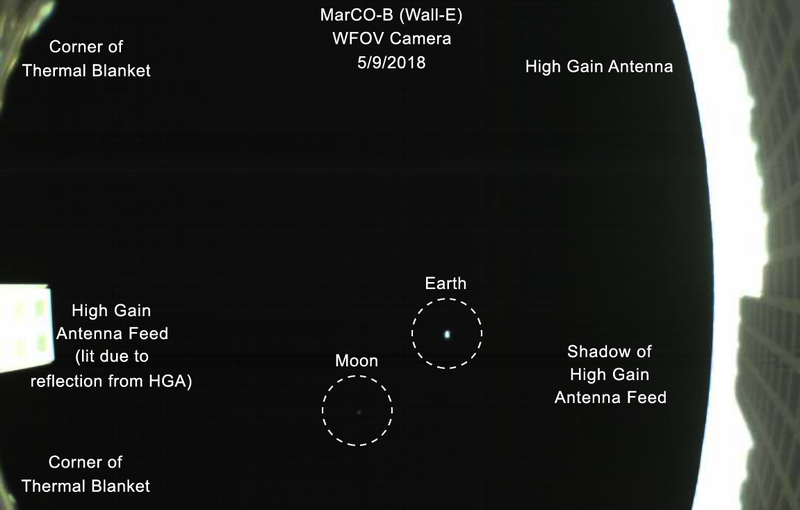 The MarCOs won't produce any science of their own, and aren't required for InSight to send its data back home (the lander will rely on NASA's Mars orbiters for that, in addition to communicating directly with antennas on Earth). But the twins will be a crucial first test of CubeSat technology beyond Earth orbit, demonstrating how they could be used to further explore the solar system. NASA’s next mission to Mars, Interior Exploration using Seismic Investigations, Geodesy and Heat Transport (InSight), is scheduled to launch Saturday, May 5, on a first-ever mission to study the heart of the Red Planet. Coverage of prelaunch and launch activities begins Thursday, May 3, on NASA Television and the agency’s website. InSight, the first planetary mission to take off from the West Coast, is targeted to launch at 4:05 a.m. PDT (7:05 a.m. EDT, 11:05 UTC) from Space Launch Complex-3 at Vandenberg Air Force Base in California aboard a United Launch Alliance (ULA) Atlas V rocket. The early-morning liftoff on Saturday of the Mars InSight lander will mark the first time in history an interplanetary launch will originate from the West Coast. InSight will launch from the U.S. Air Force Vandenberg Air Force Base Space Launch Complex 3E. The two-hour launch window will open on May 5 at 4:05 a.m. PDT (7:05 a.m. EDT). InSight, for Interior Exploration using Seismic Investigations, Geodesy and Heat Transport, will launch aboard a United Launch Alliance (ULA) Atlas V rocket. InSight will study the deep interior of Mars to learn how all rocky planets formed, including Earth and its Moon. The lander's instruments include a seismometer to detect marsquakes, and a probe that will monitor the flow of heat from the planet's interior. The ULA rocket will carry the spacecraft over the Channel Islands just off the California Coast and continue climbing out over the Pacific, shadowing the coastline south beyond Baja California. InSight's Atlas will reach orbit about 13 minutes after launch, when the rocket is about 1,200 miles (1,900 kilometers) northwest of Isabella Island, Ecuador. 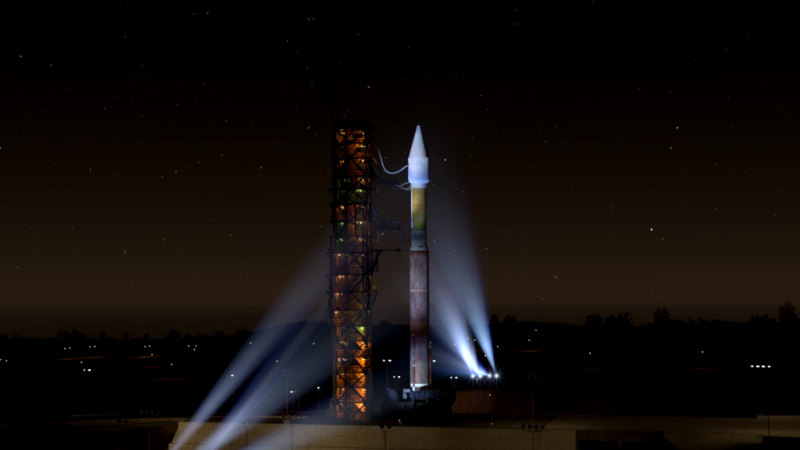 AFB for Mars on May 5, 2018 — the first interplanetary launch from the West Coast. With its successful launch, NASA's InSight team now is focusing on the six-month voyage. During the cruise phase of the mission, engineers will check out the spacecraft's subsystems and science instruments, making sure its solar arrays and antenna are oriented properly, tracking its trajectory and performing maneuvers to keep it on course.